Hedy Lamarr has never been accused of acting with too much depth. Take her performance in The Strange Woman (1946), where she plays a desperately poor woman who desires to be rich. Because the film is set in the 1820s, her character’s options for financial independence are limited, especially considering her father is a violent drunk. But, when her father unexpectedly dies, Opportunity presents itself. That opportunity comes in the form of Gene Lockhart, a leading member of Society. Lockhart is an older, affluent entrepreneur who doesn’t do anything that doesn’t make him money. Except when it comes to Lamarr. He’s in love with her, and when her father dies, he arranges a meeting with town leaders to determine where the newly-orphaned Lamarr should live. He finagles them into suggesting he marry her, then “reluctantly” agrees to the marriage – only because he’s a civic-minded person, after all. Winning the sympathy and admiration of women in the community by being the first to pledge money for the construction of a new church. Cementing her place in Society by helping the poor. Seducing Louis Hayward, Lockhart’s son, because if Lockhart dies – heaven forbid! – she can’t have Hayward marrying Someone Else. Lamarr’s character seems to have genuine pity for those less fortunate than herself, but she’s also quick to remind them of her many resources. As for those whom Lamarr regards as Social Equals, they (and their men) are fair game for her ambitions. Yet, her future depends on two things: (1) Lockhart’s untimely end; and (2) an attractive man who’s almost as smart and amoral as herself. The Strange Woman is the study of a person twisted by greed. You’d expect such a role to involve nuance and subtlety, but we don’t see that in Lamarr’s performance. Don’t get us wrong: Lamarr has enough haughtiness and ambition to go around, but we don’t get a sense of what she’s thinking. She’s pleased, she’s annoyed, she’s angry. There’s not a lot of in-between. However, this makes her character an enigma, and that is compelling. Because you can’t read her, you never see what’s coming. Whoa! We did not expect that. When a revival comes to town, the preacher delivers a sermon that seems directed at Lamarr. “The lips of a strange woman [read: adulteress] drip honey,” he says and presents a list of unsavoury accusations. This upsets her, but we can’t tell if her remorse is heartfelt. Lamarr ensures we’re continually blindsided. Like the men in her life, she keeps us guessing. The Strange Woman is based on a novel by Ben Ames Williams; Lamarr bought the film rights to the story after her contract with MGM ended in 1945. 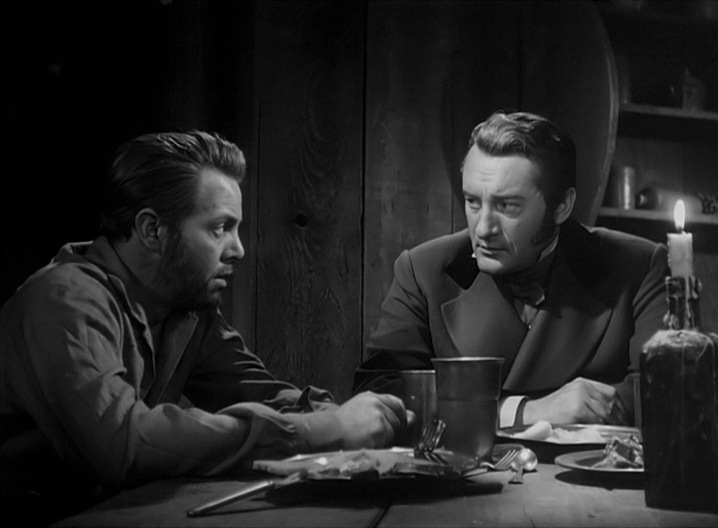 Lamarr hired Edgar G. Ulmer to direct The Strange Woman. Ulmer worked for the least glamorous studio in Hollywood, Producers Releasing Corporation, so he was used to working with, er, limited resources. The Strange Woman doesn’t look like a small-budget film, with its luscious costumes and impressive cast. Moreover, it stars a woman who had box office clout; TCM says this film earned approx. $2.8M US² (about $36M US today). If you haven’t seen a Hedy Lamarr film, we suggest The Strange Woman. You can see it on The Film Detective as part of NoirNovember. Disclosure: The Film Detective gave us access to stream this film in exchange for an unbiased review. The Strange Woman: starring Hedy Lamarr, George Sanders, Louis Hayward. Directed by Edgar G. Ulmer. Written by Herb Meadow. Paramount Publix Corporation, 1946, B&W, 100 mins. ¹World Cinema Paradise. (Retrieved October 17, 2018). 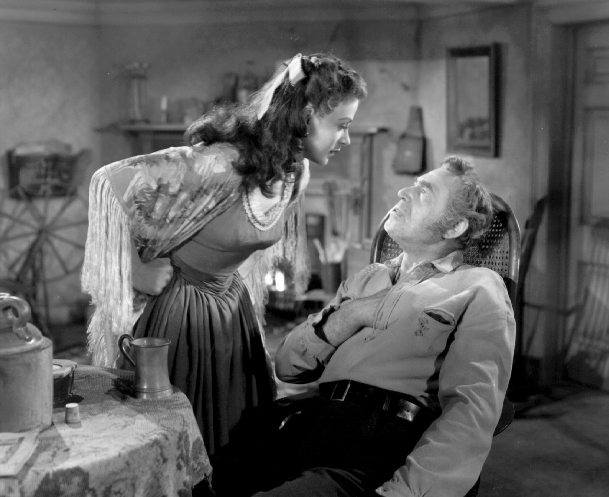 DVD Review: “The Strange Woman” (1946) by Doug Krentzlin. ²TCM. (Retrieved October 23, 2018.) The Strange Woman (1946) by Bret Wood. Thanks so much! I’ve read some pretty negative online reviews of this film, and I thought they were unfair. This film has a lot going for it, especially the unexpected plot twists. Thanks! It’s a surprising film, isn’t it? A lot going on here – I’m thinking of watching it again! I hope you get the chance to see “The Strange Woman”. The script packs a lot of action into the 100-minute run time. I knew so little about Lamarr…thanks! I, too, have avoided this film based on negative reviews that I’ve read and I’ve never wanted to hurt my image of this great lady be seeing her in a bad film! But your review has me very curious and interested. Thanks so much for a great review. My late Friday night viewing is all set! Don’t let the negative reviews throw you off. Lamarr’s enigmatic character easily carries the movie because you don’t know what to expect from her. I hope you enjoy it! I’ll remember that and be watching the film tonight! I freaking LOVE Hedy Lamarr. She was excellent in both good and bad parts (and by bad, I mean evil). Her role in this film kinda reminds me of the role she played in Boom Town. Though she was pure saltiness in Boom Town, you can’t help but like her because, let’s face it, IT’S HEDY LAMARR! What an absolute legend she was – and still is. I’ve got to see “Boom Town” again, because it’s been a few years, and that is waay too long. And I agree. Hedy Lamarr in everything is always a treat. I love your reviews–I’ve never heard of many of these films but you always make them so interesting! Thanks so much! 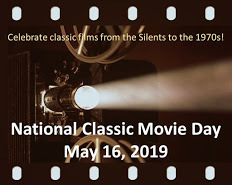 Sadly, there are a lot of interesting films that don’t get a lot of love these days. I’d watch Hedy Lamarr in anything! This sounds like an intriguing film, especially her pairing with George Sanders. Ulmer was an underrated director, who often rose above his material. 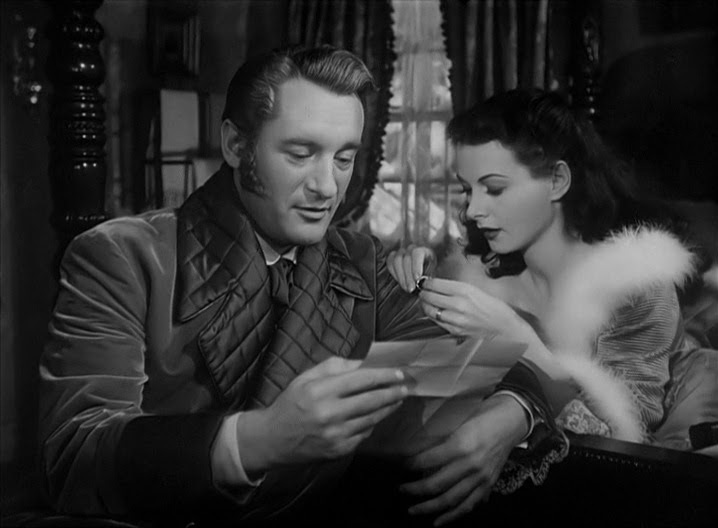 I really like Hedy Lamarr’s pairing with George Sanders. I wouldn’t have thought of it, but I think it works well. wonderful commentary on an under-rated legend. Thanks very much! Hedy Lamarr really is an underrated legend, isn’t she? 😮 Didn’t know it was based on a book!